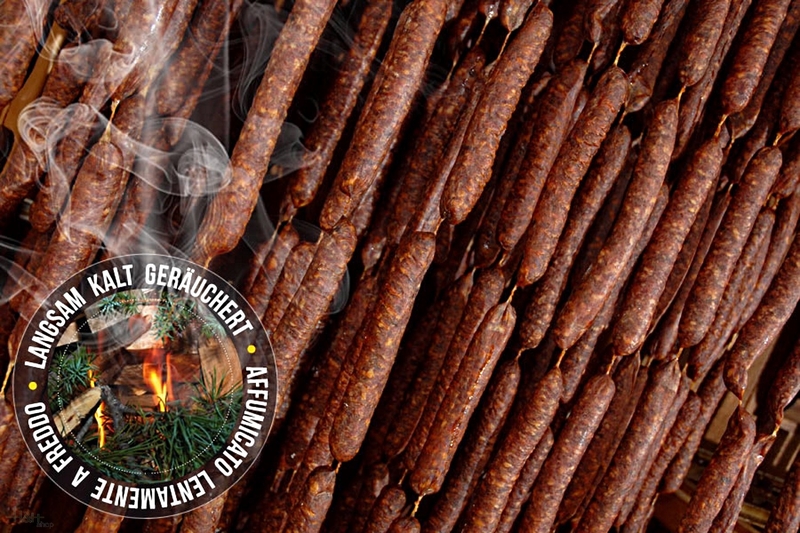 Smoked sausages Sarntal L. Moser 3 pc. - approx. 180 gr. Buy now this product together with Schüttelbrot Trenker 200 gr. ready for shipment: in ca. 5 days Schüttelbrot Trenker 200 gr. 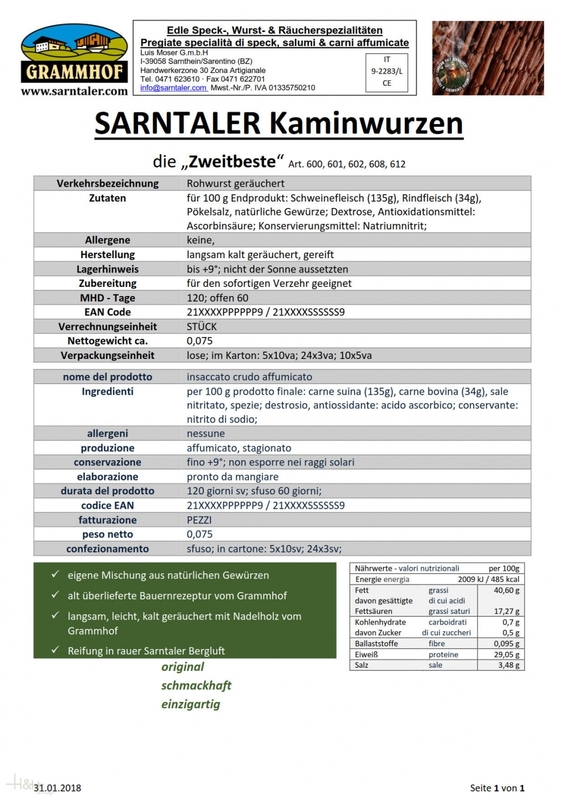 Buy now this product together with Sarntaler Horse Sausages L. Moser - approx. 290 gr. Sarntaler Horse Sausages L. Moser - approx. 290 gr. ready for shipment: in ca. 5 days Sarntaler Horse Sausages L. Moser - approx. 290 gr. Ragout Bologneser kind home-made Villgrater 170 gr. Home-made tomato sauce of the butcher's shop Villgrater, refines with mince and fresh herbs, simply warm up and give about the cooked noodles (spaghetti, penne or any noodle kind). After opening put in refrigerator and use up within less days. Beef salami Steiner approx. 320 gr. 8,80 EUR / 27,50 €/kg.